Cracker Jack, like other popcorn specialties, is definitely part of the corn story (and popcorn has an entire chapter to itself in Midwest Maize, including the origins of Cracker Jack). 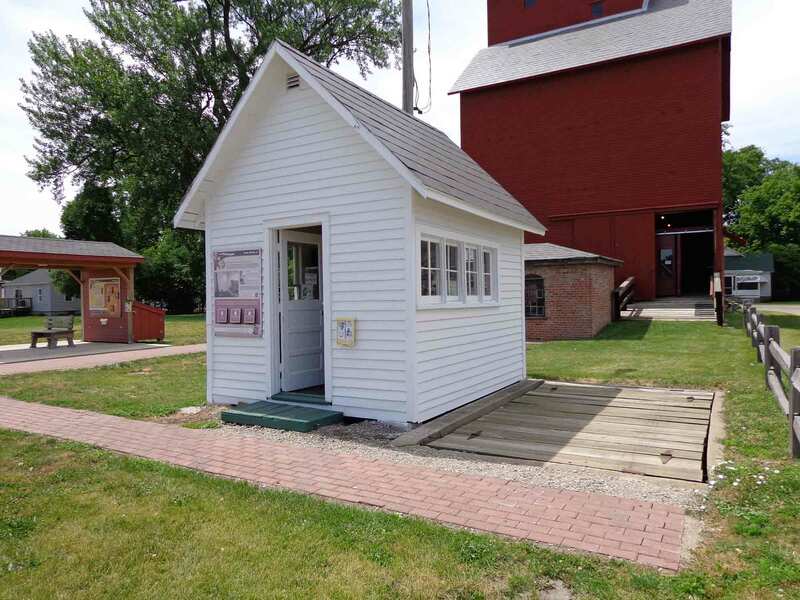 You may wonder what that has to do with a museum in Atlanta, Illinois, but check out this tiny little white building. This was, in fact, the original headquarters for the two brothers from Germany who invented Cracker Jack. The building was donated to the Atlanta Historical Preservation Council to replace the original scale house, which had long since vanished (though the site and the scale were uncovered during excavation, so it’s in the correct place). 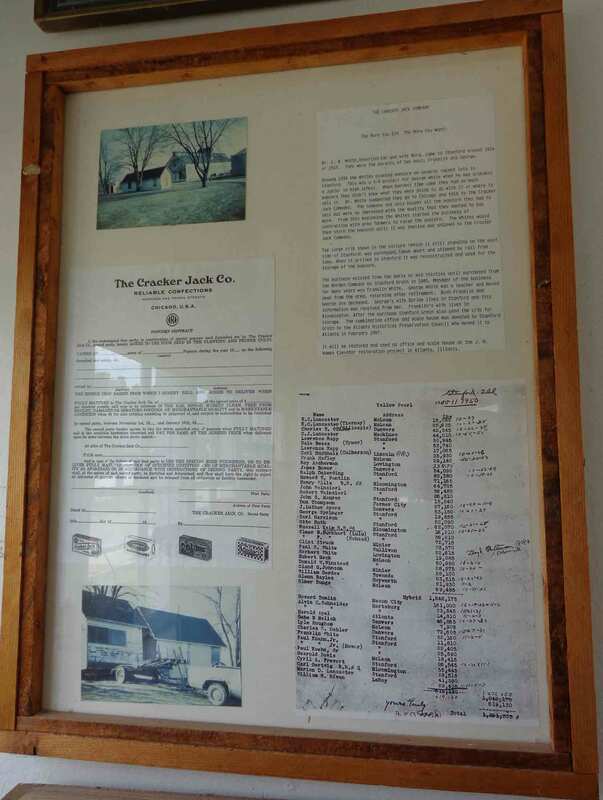 And here is the documentation about the Cracker Jack Company of Chicago, posted inside the building, along with a photo of the building in its original location. It’s astonishing to realize how modestly some big businesses started out. 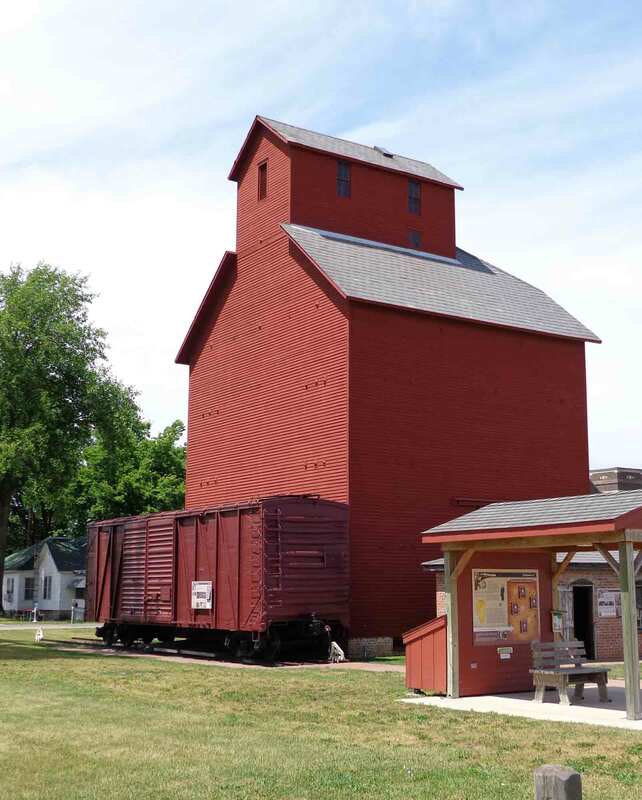 This 1904 grain elevator in Atlanta, Illinois, has been turned into a wonderful museum that lets you explore an earlier version of the grain elevator-railroad combination. 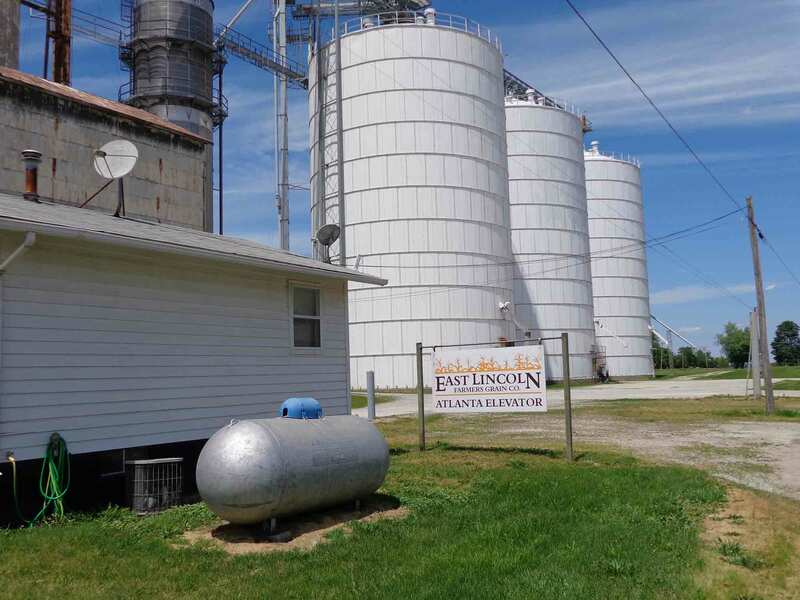 Listed on the National Register of Historic Places, it is the only fully restored wooden grain elevator in Illinois. 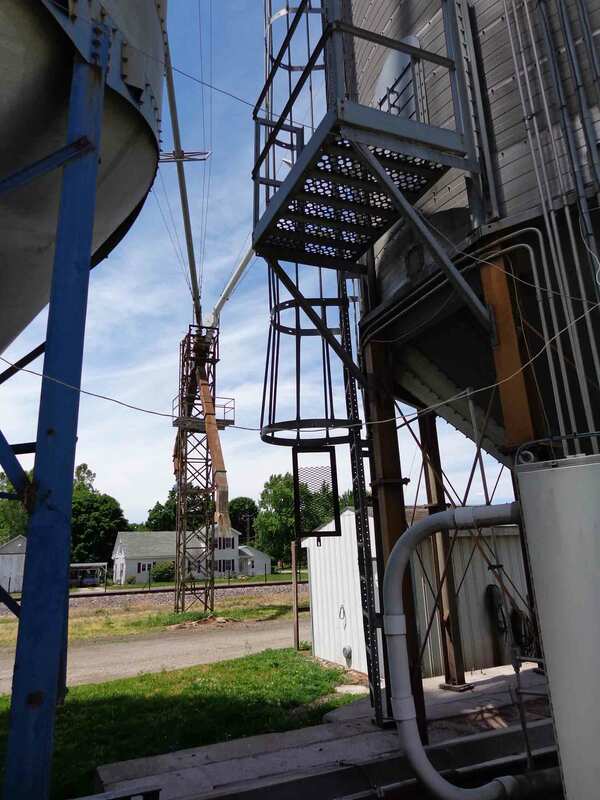 Corn would be brought to the elevator by horse-drawn wagon, and the wagon loaded with corn would be weighed and then pulled by the horses into the grain elevator. 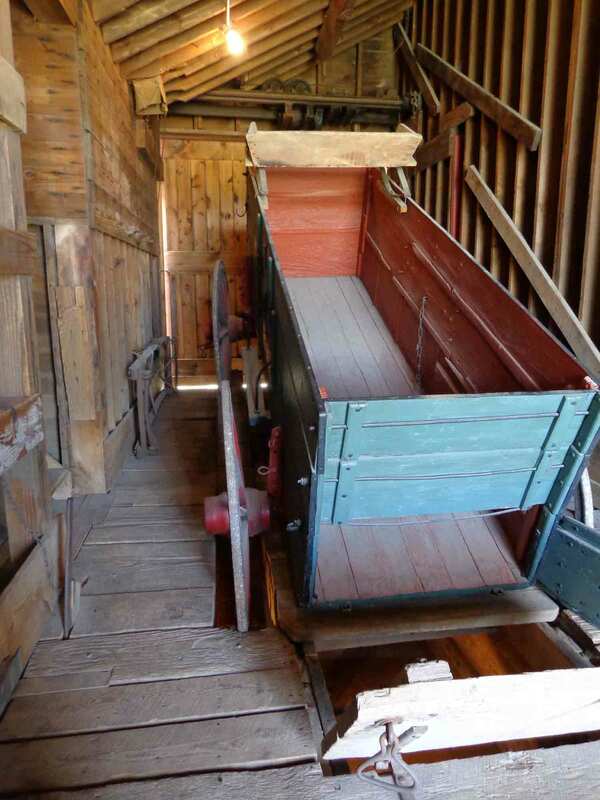 Inside, a clever device opened a trap door and tilted the wagon, dumping all the corn into the bin revealed by the open trap door. A friend from Bloomington/Normal had joined me for the visit to the museum. The two of us had the place to ourselves, which offered us the advantage of having the docent’s undivided attention, so we were able to ask a lot of questions. 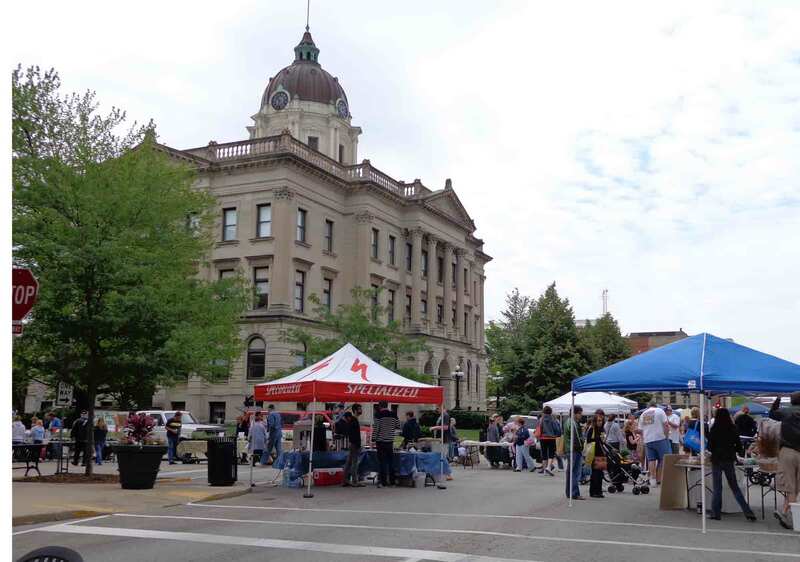 If you find yourself in central Illinois and want to visit this delightful museum, here is their website, with information on hours and location, as well as where to get a good piece of pie while you’re in town: J.D. Hawes Grain Elevator Museum. While agriculture was the focus of my research, that didn’t keep me from enjoying all aspects of life, culture, and history that I encountered as I explored. While I roamed about central Illinois, I was delighted to encounter—and even drive on a number of times—pieces of the historic Route 66. Most Americans have heard of Route 66, the highway that stretched from Chicago to Los Angeles, if only from the song that suggests, “Get your kicks on Route 66.” I’d only previously visited the beginning of the road in downtown Chicago and walked along a short stretch in Albuquerque, New Mexico. While Route 66 was not the first important road in the country, it was one of the first created for motor vehicles. Approved in 1926, it wasn’t entirely constructed and paved until 1938. Route 66 quickly became a key element of America’s love affair with car travel. The highway connected towns, and new towns grew up along the highway as its importance increased. Drive-in restaurants, fast food, motor inns, and roadside advertising either had their genesis or came of age along Route 66. It became known as the “Mother Road,” a term John Steinbeck used for it in the Grapes of Wrath, as it became an important escape route for those migrating to California from the Dust Bowl states. Automobile traffic surged following World War II, as prosperity returned to a country recovering from two wars and the Great Depression. The song mentioned above, written by Bobby Troup and recorded in 1946 by Nat King Cole, became a hit. In 1960, a TV show titled “Route 66” focused on a couple of heroes driving the highway in a Corvette, in search of each week’s adventure. The “Mother Road” was where people wanted to be. But things change. 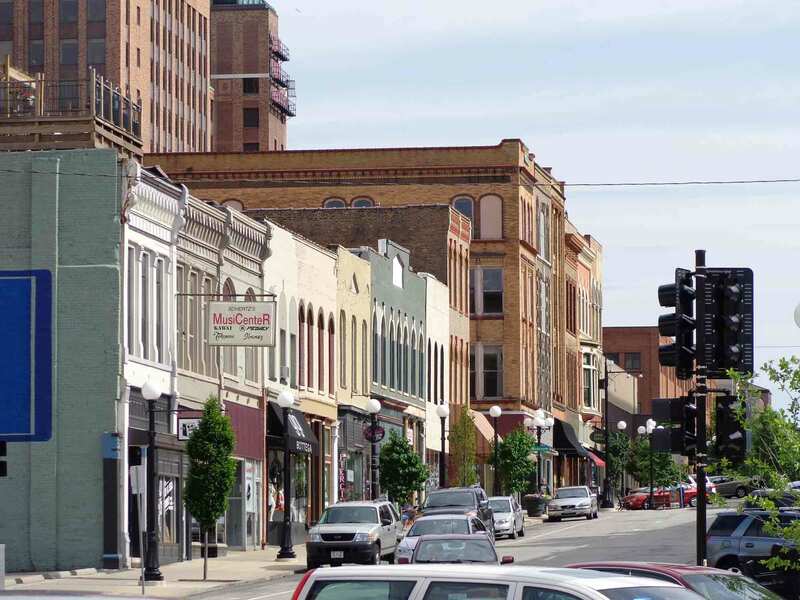 Small towns slowed down traffic, so highways were routed around those towns—causing considerable hardship for those towns. More traffic, heavier trucks, faster cars called for wider roads and new construction methods that could withstand the onslaught. Today, Route 66 is no longer formally recognized as a U.S. Highway. 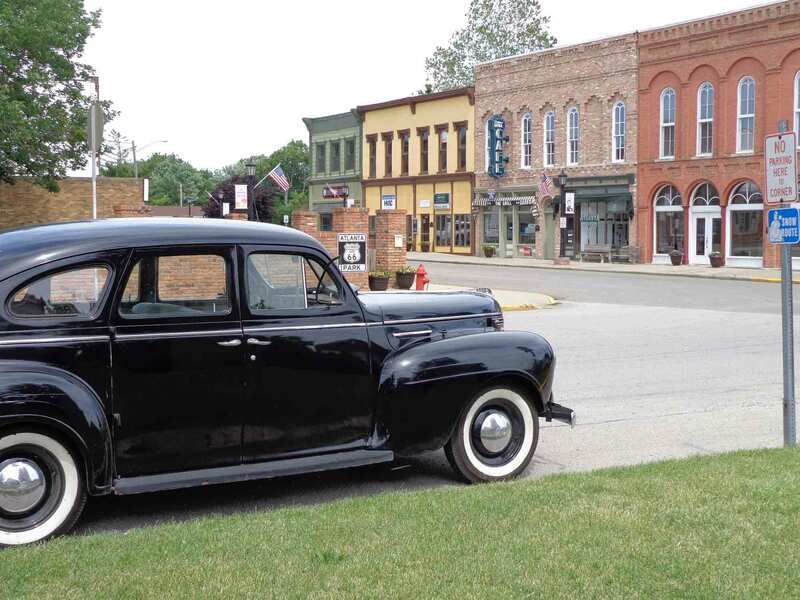 It is a historic relic cared for by those who value history and the iconic nature of the road. There are segments and stretches that parallel new highways, but they hardly reveal the importance they once had. Still, one is pleased to encounter those segments and stretches—and remember what the highway once meant. The farmers I met as I traveled the Midwest were invariably smart, and most were well educated, as well (smart and educated not being equivalent). I also found them to be warm and open. Hardworking probably goes without saying, at least for anyone who knows farming. Surprisingly, it turns out that more than a few are also talented—and funny. 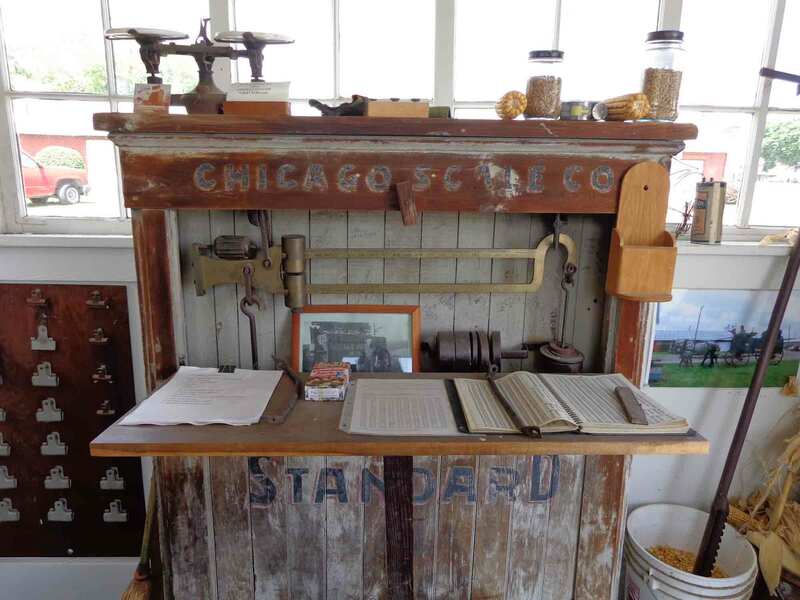 A lot of interesting material about corn, farming, history, food, and the like will be shared in this blog, but before I get too serious, I thought I’d start with a lighthearted video that I think is an entertaining example of farm humor. Hope you enjoy this parody video from Kansas farmer Derek Klingenberg: What Does the Farmer Say?